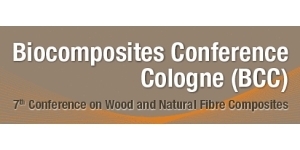 Following the recent trends of the wood and natural fibre composites market the name of the conference has changed from 7th conference on Wood and Natural Fibre Composites into Biocomposite Conference Cologne. It will be the largest conference on biocomposites worldwide this year. More than 250 participants and 30 exhibitors mainly from industries are expected!. Incorporated in the conference is the world’s most comprehensive biocomposite exhibition. Thirteen companies applied for this year’s Innovation Award. The biocomposite experts of the advisory board met on 4 September 2017 and selected six top products. During a live vote at the conference the audience will select the final winner of the “Biocomposites of the Year 2017” Award. The 2017 DNFI Award Ceremony will be on 6 December during the BCC Conference in Cologne, Germany.